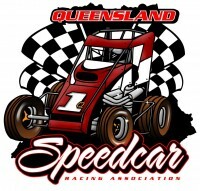 Race Fans and this weekends Midget Drivers we need your help !!!! At this weekends BNE50 interval section of the programme we need everyone to dig deep and donate to an amazing cause. Any nominated Midget drivers who have spare time you have been given the green light from Archerfield Speedway Promotions to head up into the crowd with your race helmets to collect any donations from the stands with all proceeds going to Reid and Family for his recovery. We will remind you all at this weekends drivers briefing however if you like to meet at the Neilson Motorsport 89Q Trailer we can head up amongst the fans and maybe move some more stickers at the same time ?